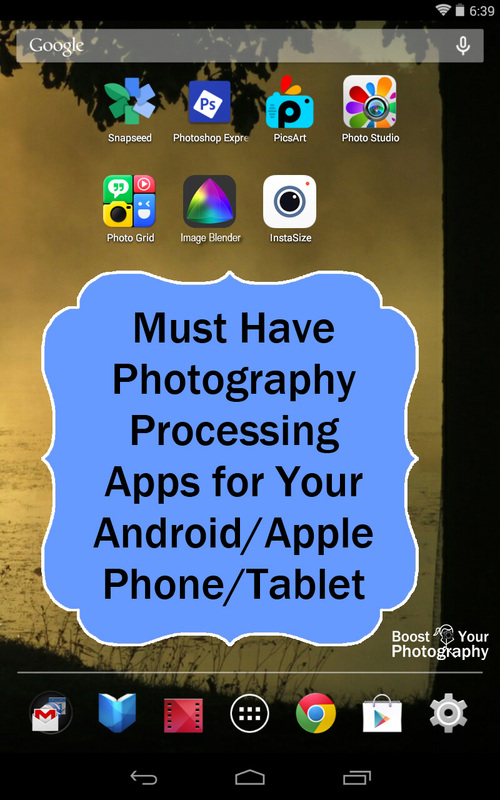 For ease, I've broken this post-processing post into two sections: general apps for processing photographs (those with a lot of options) and specialized apps for processing photographs (those geared toward doing a specific thing very well). Many of these apps are free but offer in-app purchasing options. Whenever necessary, I have tried to make clear if a feature is only available as an add-on. Once you become accustomed to the workflow, Snapseed is a breeze to work with and allows you to fine tune your photographs in any number of ways. Within each processing option you can press on your image and swipe up or down to reveal different options (such as brightness, contrast, and grain within the Black & White option). 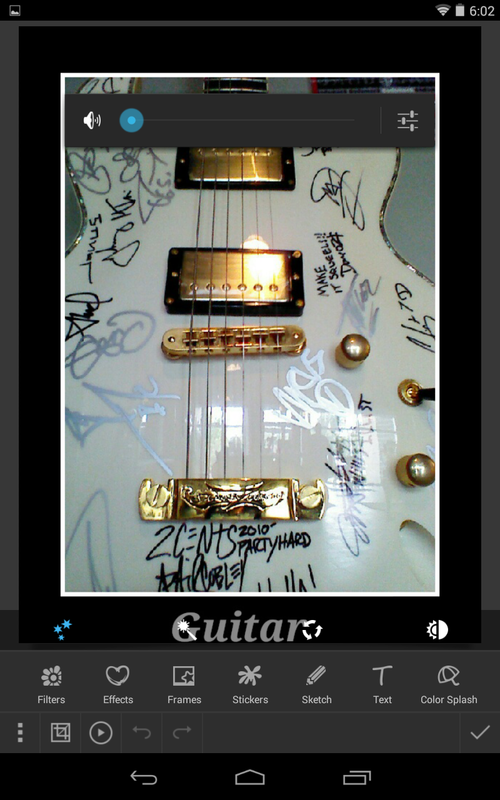 Once you have selected one, swiping to the left or right decreasing or increases that particular effect. Many conversions also have presets that you can use and compare before choosing a favorite. While working you can always press and hold the "compare" button to see the image without the current effect. Any additional benefit of working with Snapseed is that you are always editing a copy of your original photograph and any changes you make will be saved as a separate image. 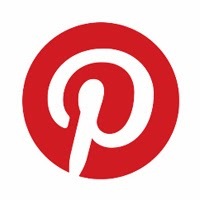 You can also share images directly from Snapseed to Google+ or other social media apps. Adobe Photoshop Express (available free for Android and free for iPhones and iPads) is a greatly slimmed down version of the popular post-processing software. Photoshop Express offers both specific processing and editing options as well as packaged "looks" (premium looks can be bought within the app). You can adjust the strength of a given look as well. 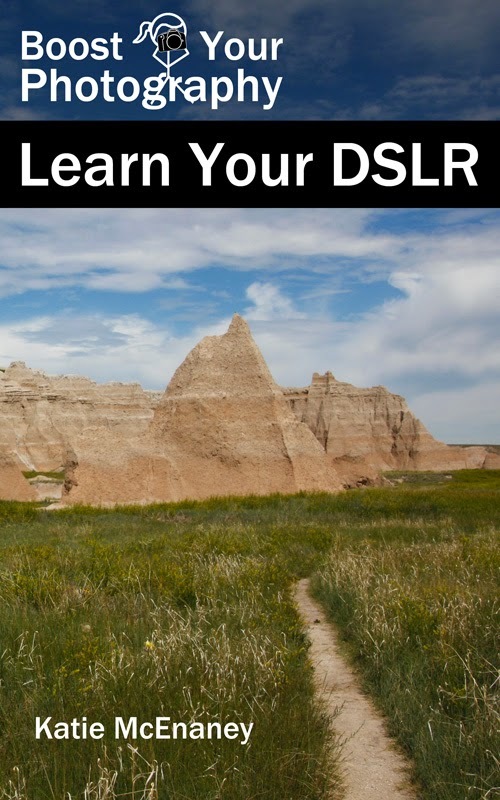 You can crop, rotate, straighten, and flip your photograph, as well as adjust things like clarity, exposure, contrast, color temperature, and others (noise reduction is an add-on). You can also reduce red eye (options for people and pets), add a variety of frames, and attempt to remove blemishes. The workflow for Photoshop Express is a little more intuitive than Snapseed - each option is adjustable through a slider bar underneath the photograph that can be used to increase or lessen the impact of that particular transformation. Just like with Snapseed, you are always editing a copy of the original photograph, and you can save multiple different edits of the same original image if you wish. You can also save your final images directly from within the app. PicsArt Photo Studio (available free for Android and free for iPhones and iPads) is a community as well as an app. You can join the community to share work or see amazing examples of photo editing and manipulation accomplished using the PicsArt app, but you can also use the app without signing up for the community. PicsArt does have an ad bar along the bottom. PicsArt offers basic photo correction options including cropping, selecting, cloning, stretching, resizing, and adjusting curves and color. 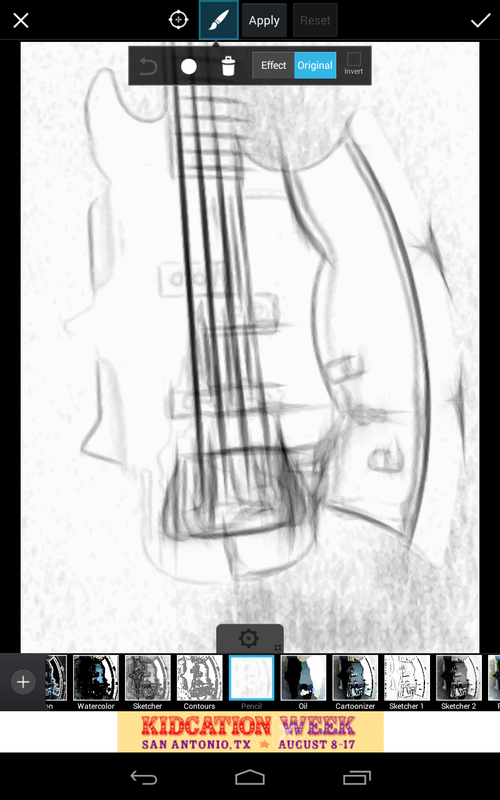 You can also choose from a wide range of effects in multiple categories (effects, blur, artistic, pop art, paper, distort, colors, and corrections). Once you have applied an effect you can use brushes to adjust how and where that effect is applied. PicsArt also lets you apply a variety of masks, drawings, text, lens flare, stickers, clip art, frames, and borders. The shop offers many more options at various prices. 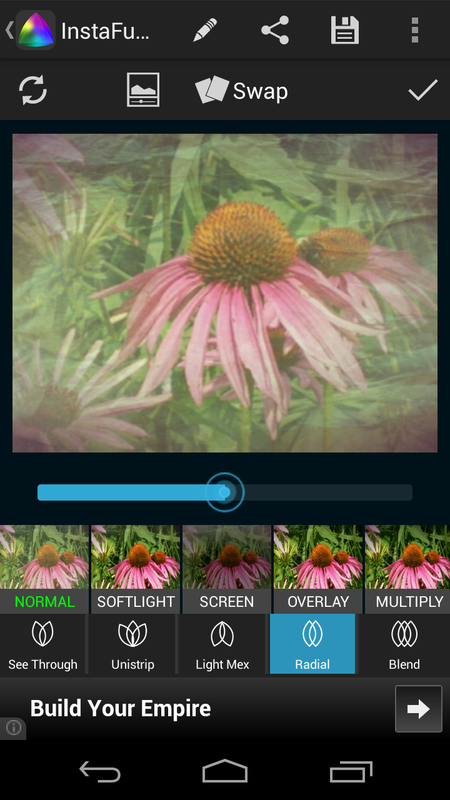 PicsArt also allows you to create collages of up to ten images. You can choose from a pre-arranged grid, frame, or freely size and organize your own images. 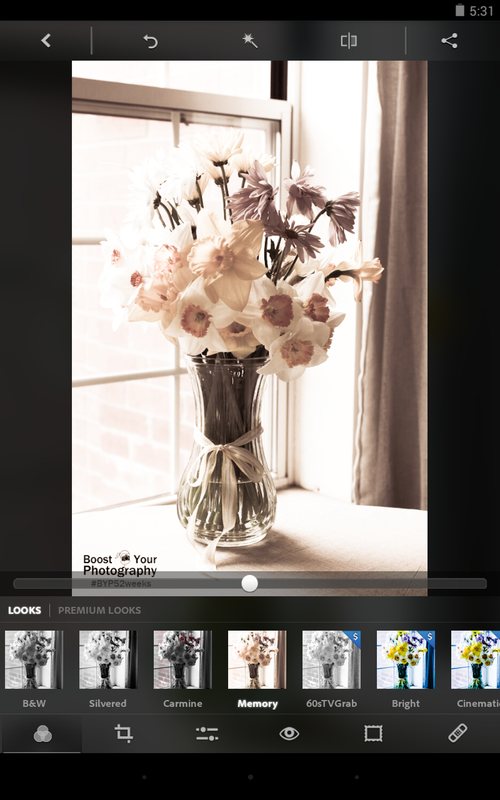 Spend a little time looking at the Featured Images on PicsArt to get an idea about what the app has to offer. Photo Studio (available free for Android and free for IPhones and iPads) is a very similarly-named app with some similar options, but Photo Studio has far fewer free options and more in-app purchases than the apps described above. Photo Studio will allow you to crop your image, but the focus is on adding filters, frames, effects, and stickers. 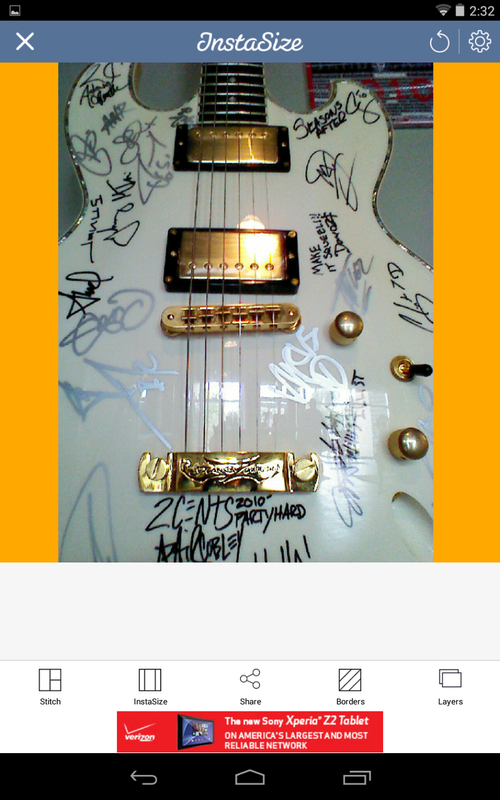 You can also add text or sketch on your image. Photo Studio has collage options including picture frames and more free-style collages. This app might be one to skip unless it has a specific effect you simply "must have" (and will most likely pay extra for). Photo Grid Collage Maker (available free for Android and free for iPhone and iPad) is a quick-and-dirty app for making collages. You select the photos that you want, and then you can choose from a range of different layouts, as well as add text, stickers, filters, and background colors. Shaking the app changes the arrangement of the photos within the collage (which can be frustrating if you want a certain picture in a certain place). There are ads within the app as well as in-app purchases. Not a ton of flexibility but great if you need a collage on the go. 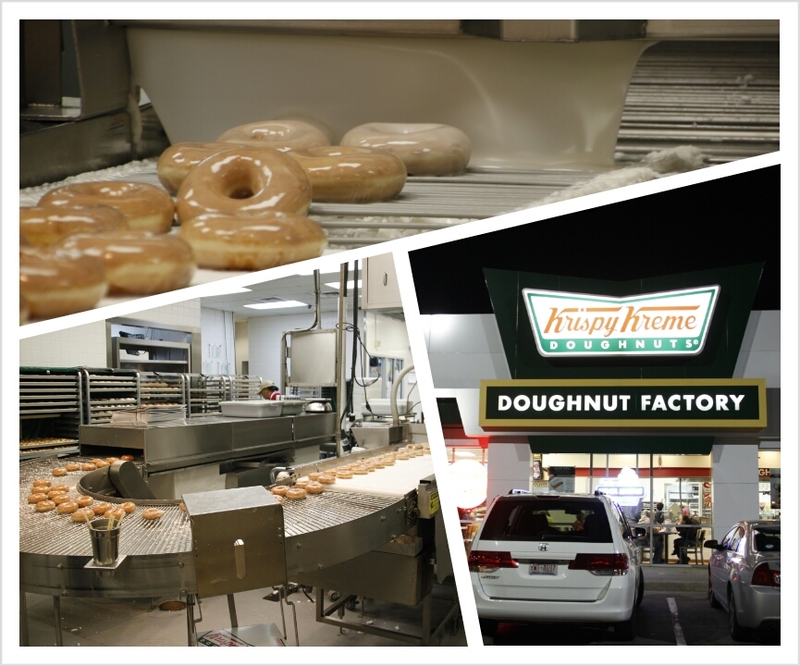 Krispy Kreme collage made with Photo Grid on my tablet - yum! Image Blender Instafusion (available free for Android phones but not tablets or $1.99 for Pro version) allow you to combine and overlay two images to create interesting effects. Image Blender allows you to create multiexposure or blended images by combining multiple photographs into one finished image. There are several different colors, textures, and blend modes available, and you can easily adjust the relative proportion of each image when combined. You can also uses masks to selectively show only part of an image, which allows you to create composites as well as blends. You can save your work as well as share it to other social media apps. There are many, many post-processing apps available. 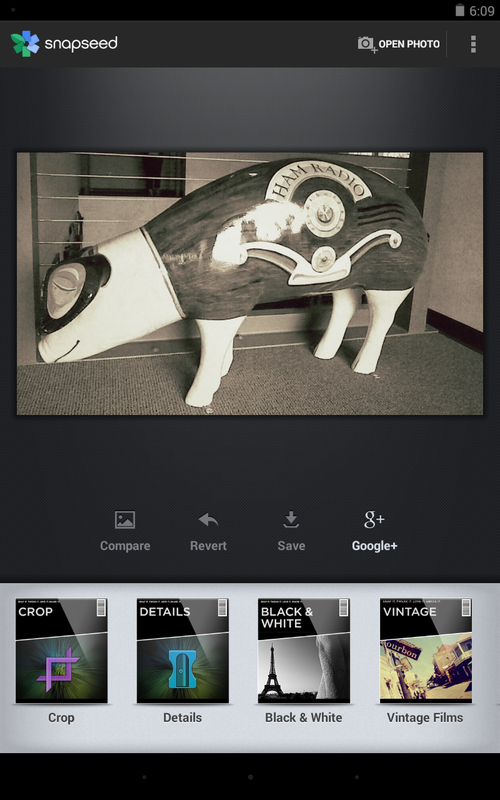 Start with one of the basic workhorses: Snapseed or Photoshop Express. See what you can do, and see what you might still want to do that these apps might be missing. Then branch out into greater manipulation, collages, texts, etc. with PicsArt or Photo Studio.